describes the 100% sangiovese wines that emerge from this unique area, the first to be granted Italy’s DOCG wine region designation in 1980. Today, over 200 winemakers produce vintages that peak the interest of consumers/collectors throughout the world. My interest in exploring these big earthy red wines peaked when we were invited by the Consorzio Del Vino Brunello di Montalcino to attend a private tasting at the Sofitel Hotel in Beverly Hills introducing the region’s 2009 vintage. 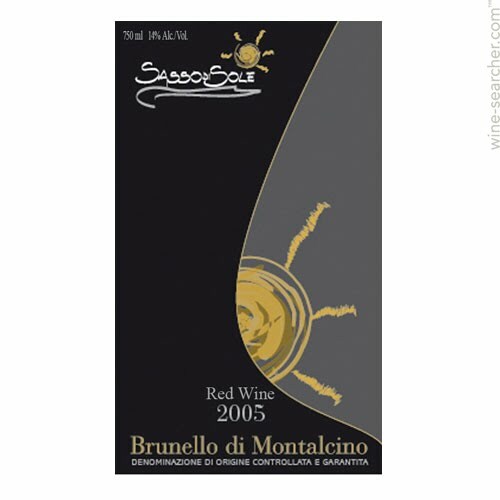 This 2009 vintage of Brunello di Montalcino was a four, not five-star release like 2007 or 2006. Production in 2009 fell by 20% mainly due to two factors: higher than average temperatures in June-July and late season rains that either rushed or delayed the harvest. Ironically, these factors were present in some recent California vintages. 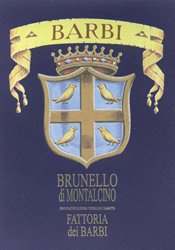 It is a known fact that Brunello di Montalcino wines in most instances need years to mature. The experts tell us that the unique conditions of the 2009 vintage resulted in fresher grapes, softer and rounder with less tannins, more ready to drink. The impacts of extraordinary summer heat and untimely, late rains led winemakers to “drop” or sacrifice any damaged fruit to enhance the grapes that survived. While this process of natural selection results in a lower yield, the fruit flavor is often more concentrated and rich. 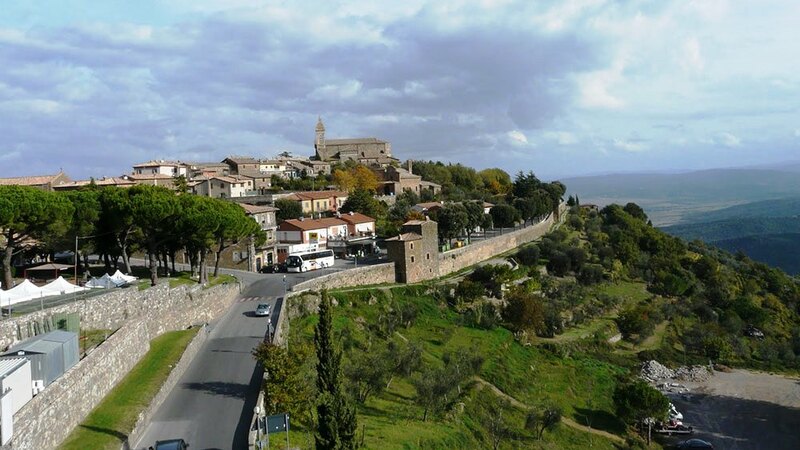 While Italy is no stranger to fine blended wines, one grape seems to be enough for the Montalcino region. Most believe that the sangiovese grape produces more complex and better-textured wines going solo. Brunello di Montalcino wines vary within themselves and with the diverse terroir that exists, one grape is definitely enough. Aside from high tannins and acidity, traditional Brunello di Montalcino wines are often described as earthy with aromas and flavors of sour cherry. This description always begs the question. “What does “earthy” taste like?” The “earthy” descriptor in wine can refer to the smell and taste of damp earth or the dusty flavor that is apparent in rich, highly tannic wines. However depicted, one will know it when smelling and tasting the wine and, most likely, will either love it or hate it. The diverse soils of the Montalcino region most certainly will add earthiness to the wines, but other traditions enable these large brown grapes to fulfill their potential. Maceration, the process of leaching color, flavors and tannins from the skins to the juice, is much longer in these wines, adding rich, dark color, flavor and age worthy tannins. Cautious with anything that may affect the balance of the wine, Brunello di Montalcino wines are aged three to five years in Slavonian oak that is less forceful than French oak. In addition to the typical aging, experts feel a good wine from this region needs 10 years to mature. The end result is rich, friendly and full-bodied wines, 35% of which are exported to awaiting U.S. consumers. Hence, consortiums are formed and events for media and trade are hosted. The following 2009 wines were selected for this tasting. The Colombini family has been harvesting grapes from their Montalcino vineyards since 1790. Still run by the family, the Barbi winery balances old traditions with modern technology such as a cold maceration process called “cyro maceration” that is intended to enhance the aromas of the wines. From elevated vineyards with rough topography, this is a warm, friendly wine with a bouquet and flavors of sour cherry, a nice minerality, healthy tannins and, of course, a damp earthiness. 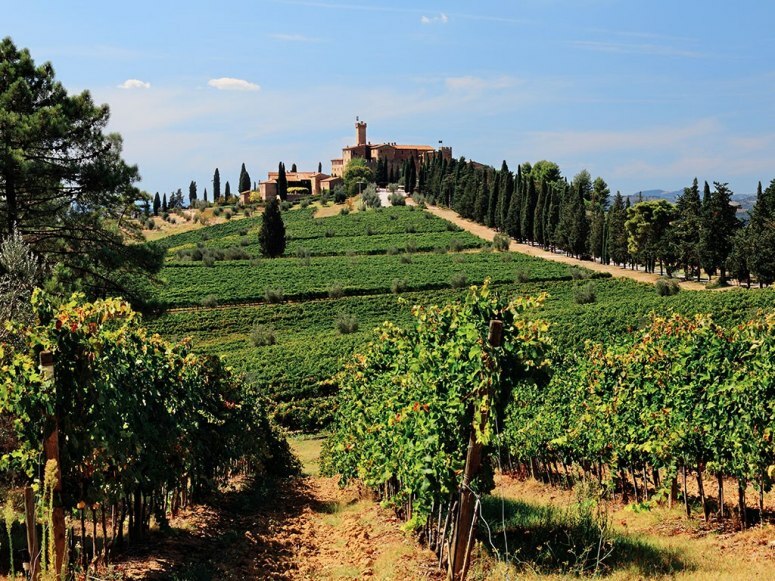 Grown in low elevation vineyards located in the far west of the zone, Brunello di Montalcino from the Camigliano Winery generally has lower acidity and tannins with a higher fruit character. Fermented in stainless steel after a long maceration process, the juice spends two years in French oak and another in the bottle before release. Following nice sour cherry on the nose, the flavors are quite full on the palate with high fruit character and balanced tannins, making it more ready to drink. Elegant wines such as this with high, balanced tannins are, according to our sommelier, indicative of a Brunello di Montalcino four-star vintage. Grown in soil heavy with limestone, this wine is currently expressing overly high tannins and acidity, evidence that it is still too young and needs to age another four to five years. With extended maceration and full malo-lactic fermentation, odds are that those who can be patient will be rewarded with an elegant wine. Tannin management is important with Brunello di Montalcino wines and this one needs more age and experience. nose, round and complete. After 36 months in oak and another year in the bottle, our sommelier still felt that the wine needed 10-18 months more time to mature. There is a consistent effort among these winemakers to manage the tannins and balance their wines. Similarly, California winemakers and consumers seem to be moving away from the large “fruit bomb” wines toward those with more balance. With this in mind, I noted a thread through local Brunello di Montalcino winemakers when one commented, “Over fruitiness can become the enemy of complexity.” European wines, for the most part, are blends where “the whole is larger than the sum of its parts” attitude drives their success. Here, winemakers must deal with the complexities of a single grape. Montalcino and others for the local Rosso or Sant’antimo wines. This wine had solid, but well-managed tannins and the complex, balanced flavors made it one of the best pours of the entire tasting. The Terzuoli family has been farming this land, now called Societa’ Agricola Sassodisole, since the beginning of the 17th Century Despite the intimidating earthy aromas, this wine had the softest balanced tannins with concentrated fruit flavors of any wine at the tasting. Age is a factor for this wine that spends one year in stainless steel followed by three years in Slavonian oak and another in the bottle. It was my favorite at the event and one that is highly recommended. Brunello di Montalcino wines, including some of the ones we tasted, can with very little research be found at various wine outlets. Look for the 2006, 2007 or 2009 vintages to determine if these bold, earthy wines are your cup of tea. This entry was posted on Thursday, February 13th, 2014 at 9:19 pm	and posted in Brunello di Montalcino, Brunello di Montalcino, sangiovese, Wine. You can follow any responses to this entry through the RSS 2.0 feed.